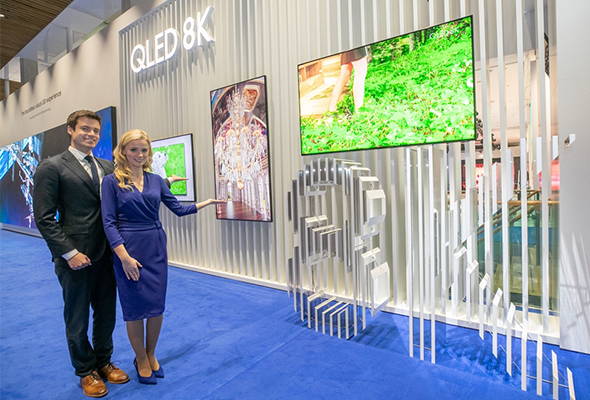 Samsung Electronics Co. has set a target to ramp up global shipments of the next-generation 8K resolution TVs to 5 million units by 2022 in hopes to make headway to stay in the lead in the premium TV market. 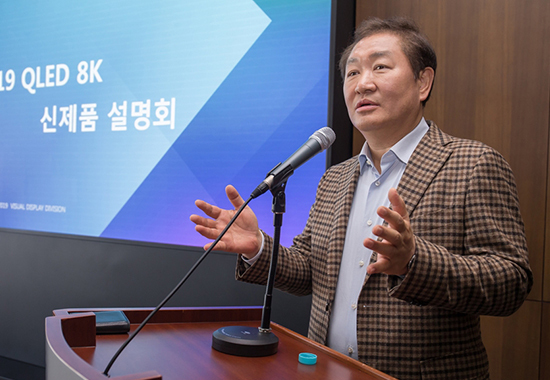 The South Korean tech giant announced last Friday at Samsung Digital City, its headquarters in Gyeonggi Province, that it will release its 8K resolution TVs using quantum-dot LCD display (QLED) technology to 60 countries by the end of this year and hold various forums in each continent to demonstrate the superior picture quality of its 8K QLED TVs over current premium mainstream 4K TVs. An 8K TV has 7,680x4,320 or 33 million pixels display, which is four times the resolution of 4K UHD screens. It delivers an unparalleled brightness, color contrast and wide viewing angle and brings images to life, the company said. IHS Markit, a market research firm, also projected that the 8K TV market would grow to 338,000 units this year and 5.03 million sets by 2022. Samsung Electronics plans to host Samsung Forum in Europe, Southwest Asia, Latin America and Middle East to expand its 8K TV sales across the world. It will also diversify its 8K lineup by adding 55-inch and 98-inch models to its existing 65, 75, 82, 85-inch screens. Its archrival LG Electronics earlier this year also unveiled an 88-inch class 8K TV based on the organic light-emitting diode (OLED) display technology, waging the 8K TV war against Samsung Electronics. It expected annual OLED TV shipments would reach 5 million units by 2022.